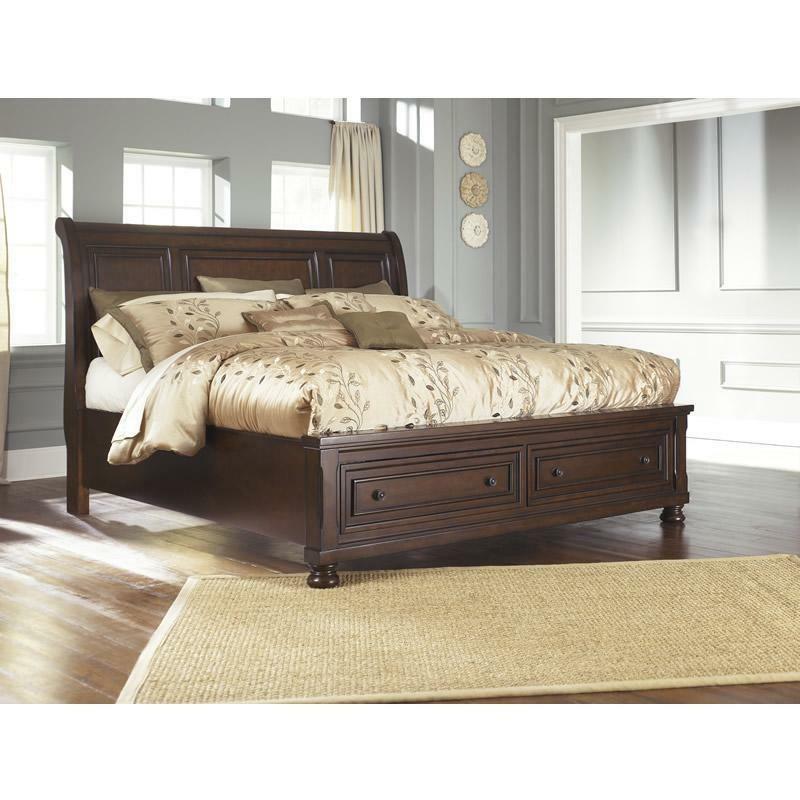 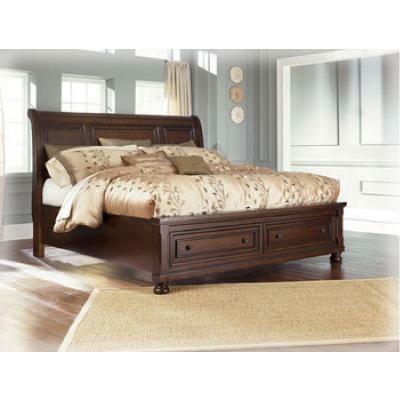 The warm rustic beauty of the Porter Bed uses a deep finish and ornate details to create an inviting piece that fits comfortably into any bedroom decor. 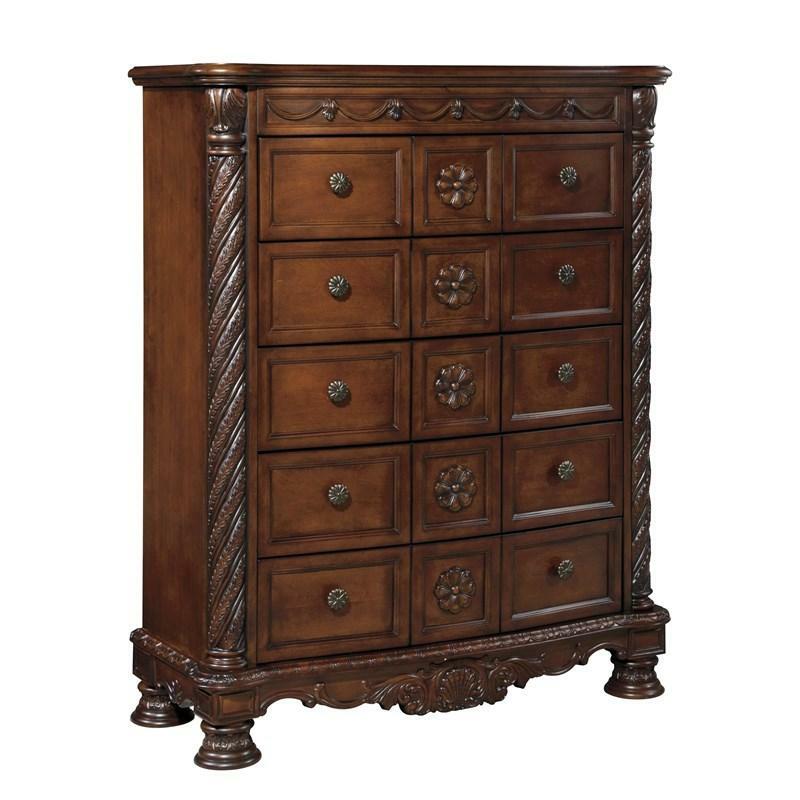 The rich look of the burnished brown finish flows beautifully over the decorative framed details and stylishly turned bun feet to flawlessly capture the true feel of grand rustic design. 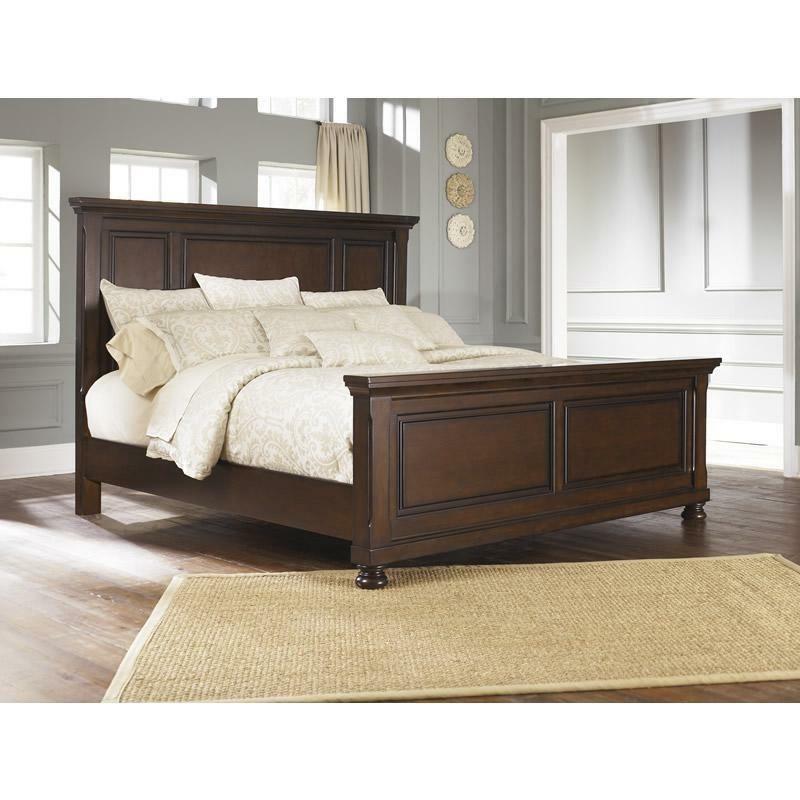 With the dark bronze color hardware adorning this rustic furniture, the Porter Bed is the perfect choice for any home environment. 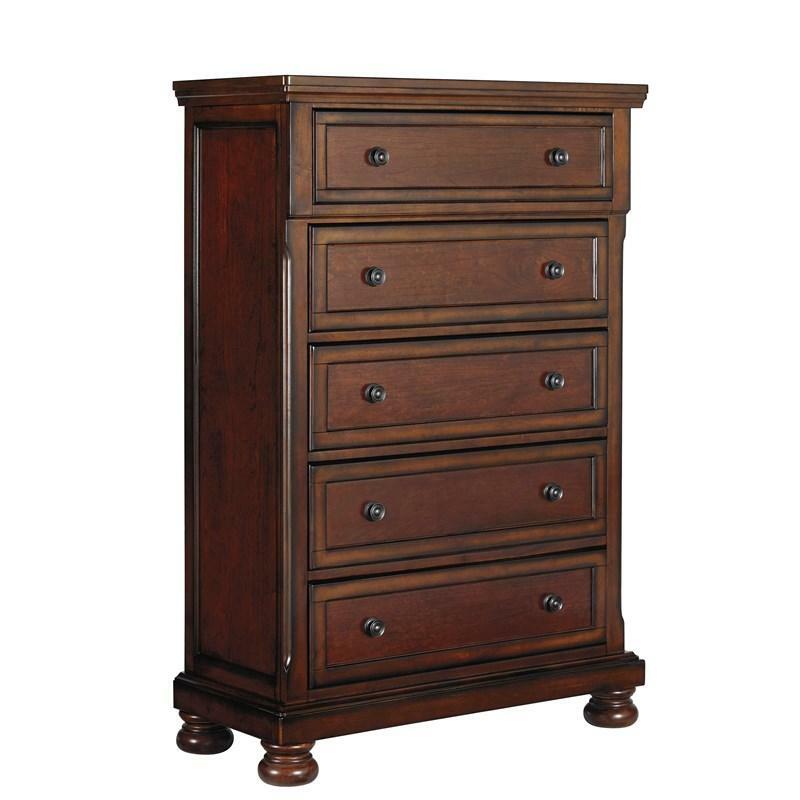 Additional Information Made with select cherry veneers and hardwood solids. 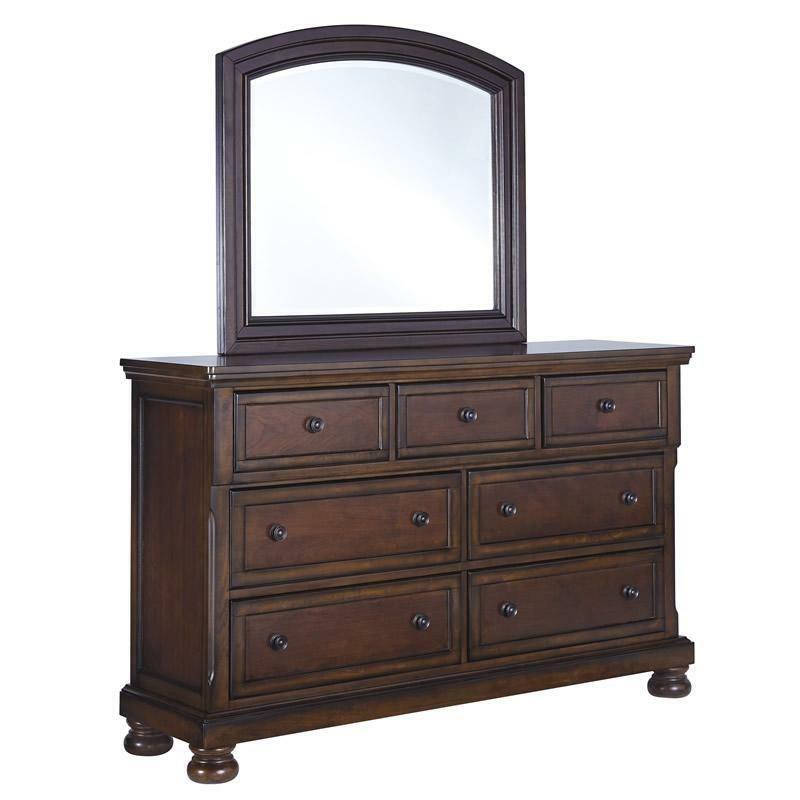 Open up your bedroom with the Porter Dresser Mirror. 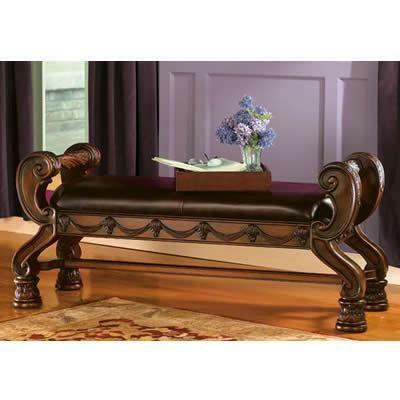 It features a beveled edge, wood frame and support rail. 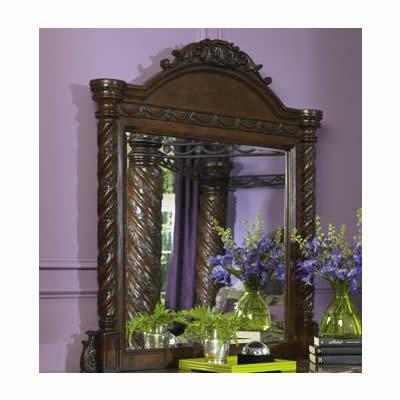 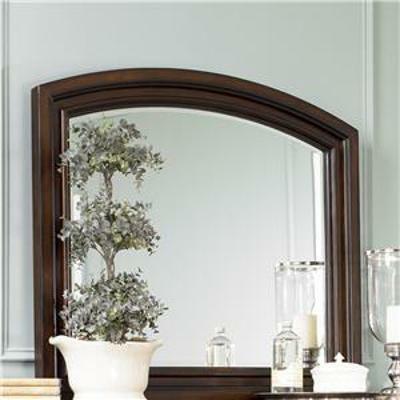 An arched top adds a beautiful finishing touch to the mirror. 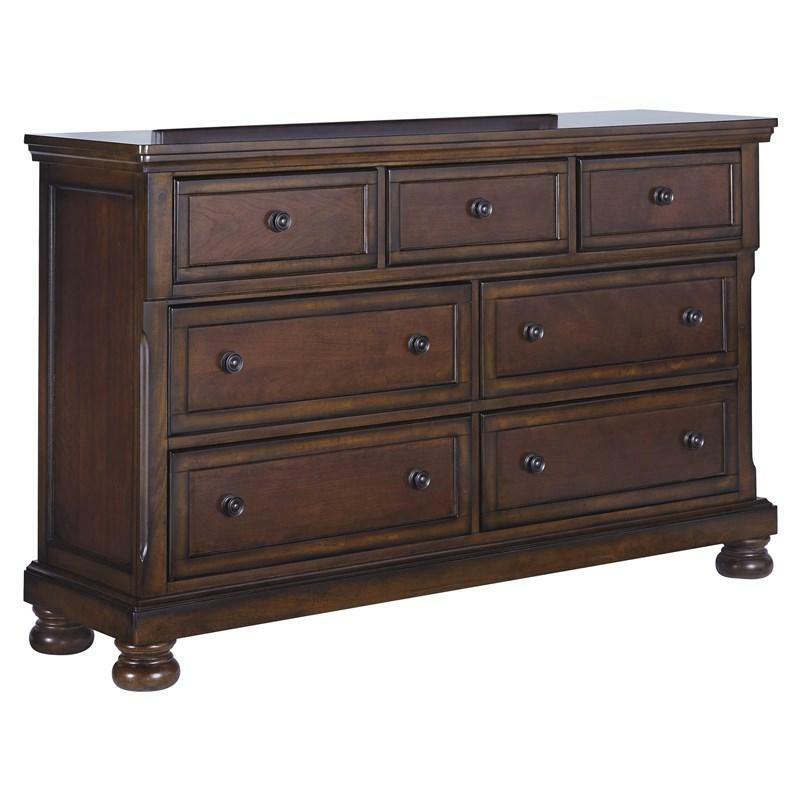 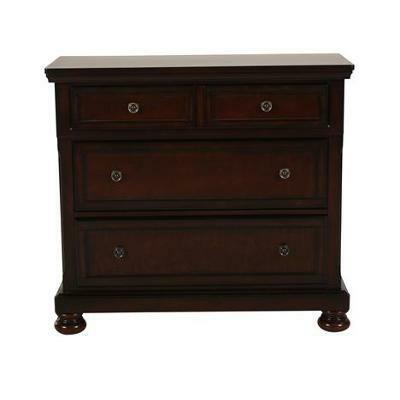 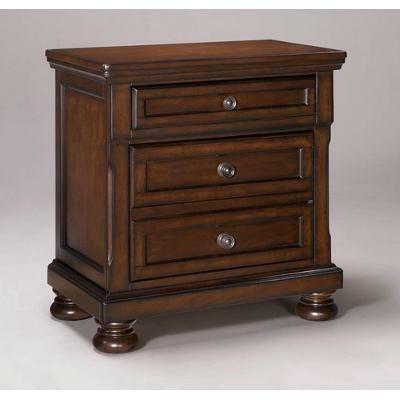 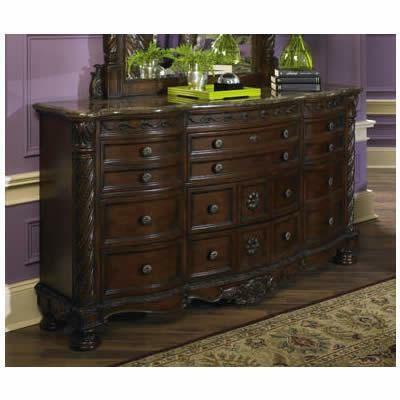 Pair with the seven drawer Dresser for the perfect match.